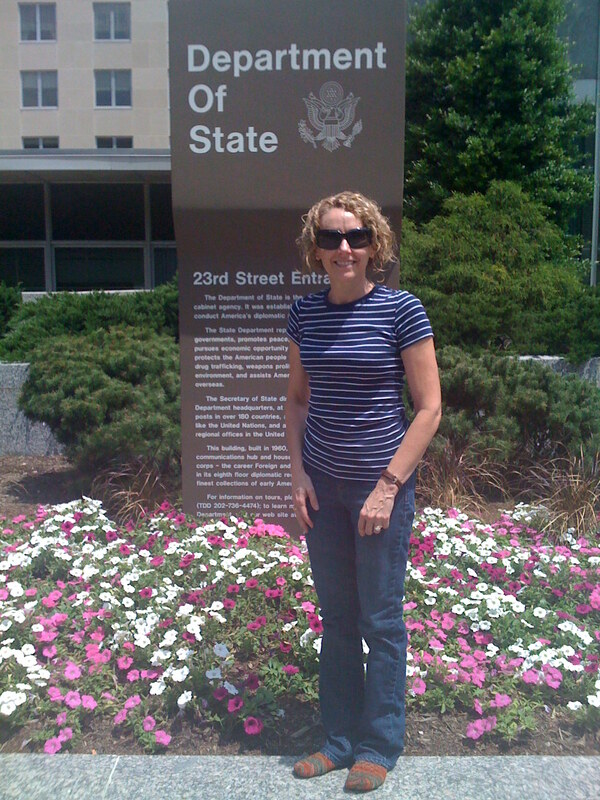 We socks made it to Washington, D.C. and visited the State Department on 23rd Street. No one thought it strange that Stacy Lyn wore no shoes. And what, pray-tell, is this? 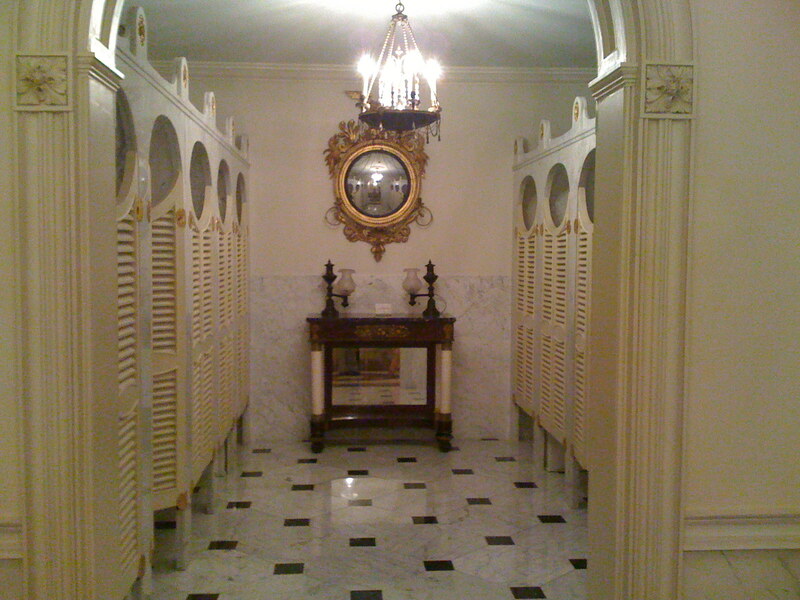 Strange though it may seem, we just had to take a picture of this very ornate ladies’ room – marble floors, louvered doors, and antique dressing tables. 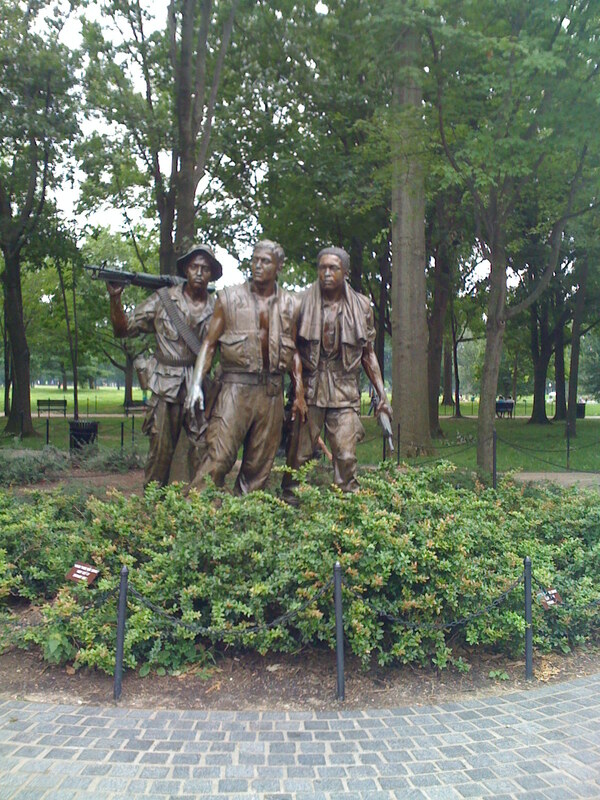 We had been in Washington, D.C. for a couple of weeks when we finally took the day to wander around the city to play tourist. 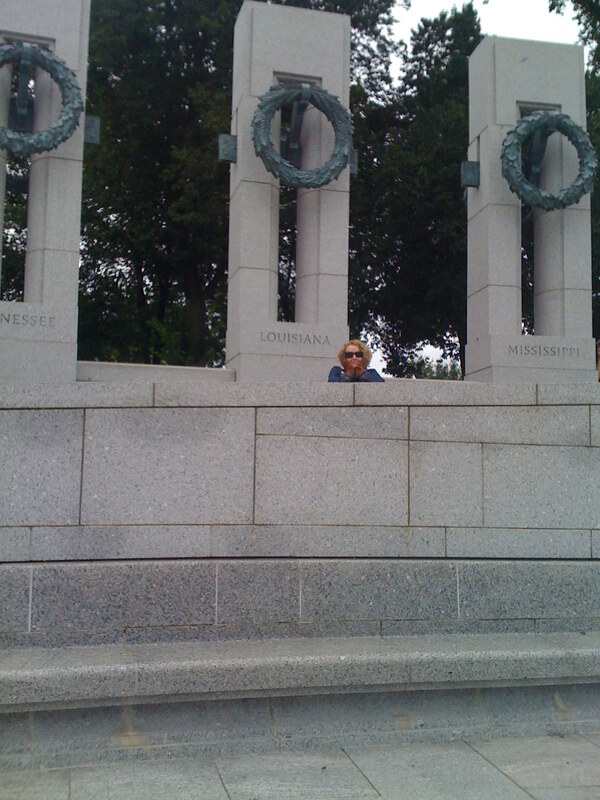 Here we are on Stacy’s hands at the Louisiana column of the World War II Memorial. 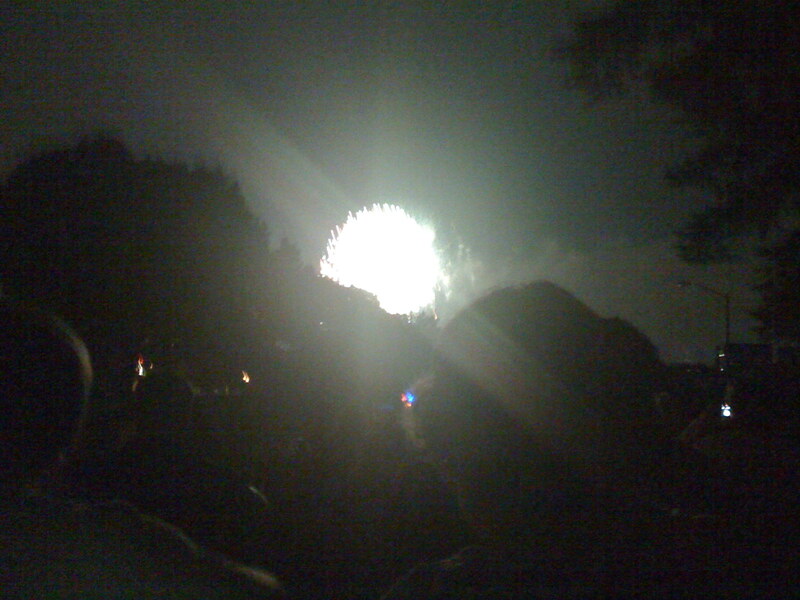 We saw the July 4th fireworks from across the river in Arlington. It was quite spectacular to be in the capital on Independence Day! We made it to the Library of Congress where we saw Thomas Jefferson’s books! We love the smell of old books – we took no pictures, however, because photography was forbidden. You’ll just have to go there yourself; they are a must-see for all you fellow bibliophages. 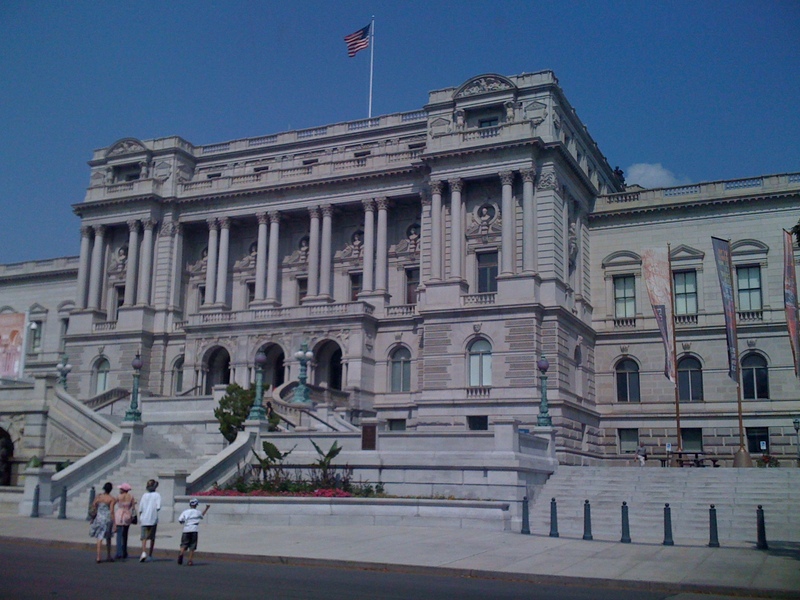 There is another branch of the Library of Congress across the street – The Madison Library. 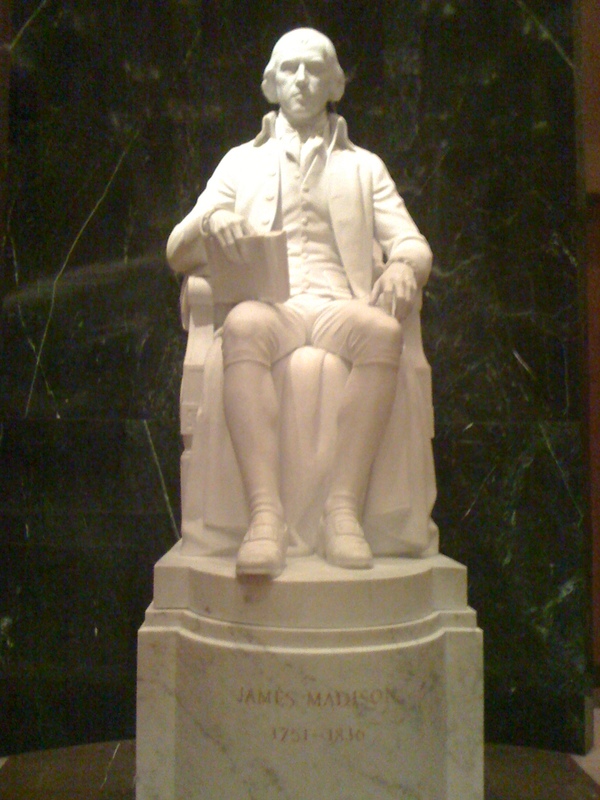 There’s nothing really touristy – just books for borrowing – but downstairs you can see this beautiful statue of the library’s namesake. Where will we go next? Stop by again soon for more on our adventures.